Several of St. Kitts’ properties are currently offering fall and winter deals, plus the island has a value-added program designed to help visitors save on their stay. Ocean Terrace Inn – From now through November 30, 2011, the property’s “August Specials” provide three low-cost options for accommodations: Room only rate of $89 based on single occupancy; Room only rate of $100 based on double occupancy with up to 2 kids 12 and under able to stay free; or a Bed & Breakfast rate of $118 for a standard room based on double occupancy with up to 2 kids 12 and under able to stay free. There is a maximum 2 adults and 2 children or 3 adults permitted per room and the third person rate is an additional $30 per night. All rates are per room, per night and inclusive of taxes. Ottley’s Plantation Inn – From now through the end of the year, Ottley’s has rolled back its rates to pricing unseen since pre-1999. New rates reflect unprecedented reductions $194 from November 1 through December 22, 2011. Rates are per room per night based on single or double occupancy. Rock Haven Bed & Breakfast – Stays from now to December 15, 2011 at this intimate property start at just $149 per room per night. Plus, get an additional 15% discount for booking a stay of at least 3 nights. Rates include breakfast daily, complimentary round trip airport transfers, no charge for internet access, free international calls to the US, Canada and UK, laundry service, booking of all excursions and the property’s renowned personal service. The St. Kitts Marriott Resort – Valid on stays from now through December 18, 2011, the Marriott’s Super Escape! Inclusive Package includes: accommodations; room tax and service charge; daily breakfast, lunch and a 3-course dinner at select restaurants; kids under 12 eat free from the kids menu or buffet; room service; unlimited gold standard beverages, local beers and house wines by the glass; choice of two of either a round of golf, spa treatment or casino value package; room service; kids club for children ages 5-12; use of tennis courts and non-motorized water sports; 20% discount on golf retail merchandise; and a 20% discount on treatments at the Emerald Mist Spa. Rates start at just $329 per room, per night based on double occupancy. A 3-night minimum stay is required and guests must refer to code P50 at the time of booking. The Sugar Bay Club – Between now and December 20, 2011, save on stays at this popular property with low season rates starting at just $90 for room only or $110 for “bed & breakfast.” Rates are per room, per night based on single or double occupancy. Breakfast is served at Rituals Coffee shop located at the property. Timothy Beach Resort – With the “Greatest Sale of the Year,” the resort is offering 35-40% savings with low season room rates starting as low as just $66 per room, per night. Book from now through November 12 to save 40% off room rates for stays through November 15, 2011. Or, book now through December 17 to save 35% off room rates between November 16 and December 20, 2011. A 3-night minimum stay is required. Visit the accommodations page of the St. Kitts Tourism website for additional information and contact details for each property listed above as well as for other lodging options on St. Kitts. In addition to individual hotel offers, St. Kitts offers another way to save with the “Fall in Love with St. Kitts & Nevis” destination-wide value added program. – The program includes free nights – either 7 nights for the price of 4 or 5 nights (30% to more than 40% savings); or 4 nights for the price of 3 (a 25% savings) – at participating hotels. Plus, guests receive complimentary Continental breakfast daily or a Food & Beverage credit along with a special discount card that provides savings at various island shops, restaurants, tours and more. Special children’s discounts may also apply, making the offer even more valuable for family vacations. Travelers can book their stay directly with the hotel and purchase air separately, or get reduced airfare on flights booked in conjunction with a stay at a participating hotel via American Airlines’ AA Vacations, US Airways Vacations or Delta Vacations. The “Fall in Love with St. Kitts & Nevis” offer is valid on new bookings made now through December 12, 2011 for travel between now and December 18, 2011. 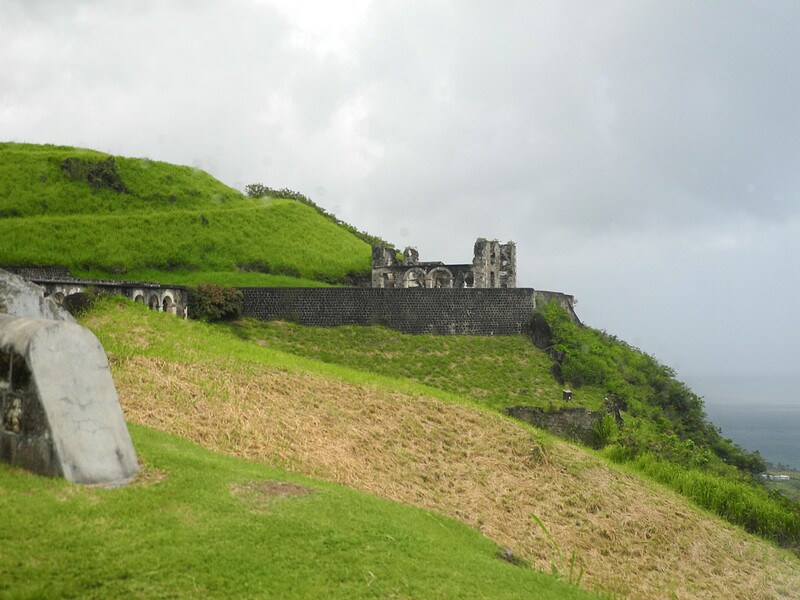 Over the past months, St. Kitts was named a top destination for 2011 by both AOL Travel and British Airways. Located in the northern Leeward Islands of the Caribbean, it offers a diverse tourism product developed from the destination’s natural beauty, cultural heritage and rich history. The island’s stunning variety of tourism attractions include hiking through the tropical rainforest, riding the scenic railway that connects the island’s former sugar plantations, visiting the Caribelle Batik factory, touring Brimstone Hill Fortress National Park, the only man-made UNESCO World Heritage Site in the Eastern Caribbean, and more traditional vacation pastimes such as watersports, golf, shopping, tennis, gourmet dining, gaming at St. Kitts’ exclusive casino or simply relaxing on one of the island’s sandy beaches. Accommodations range from intimate plantation inns to larger hotels and resorts. For more information about St. Kitts, contact the St. Kitts Tourism Authority toll free from the US at 1-800-582-6208 or from Canada 1-888-395-4887, e-mail info@stkittstourism.kn, visit www.stkittstourism.kn, or connect on Facebook, Twitter and/or YouTube.